According to the Immigration Act No. 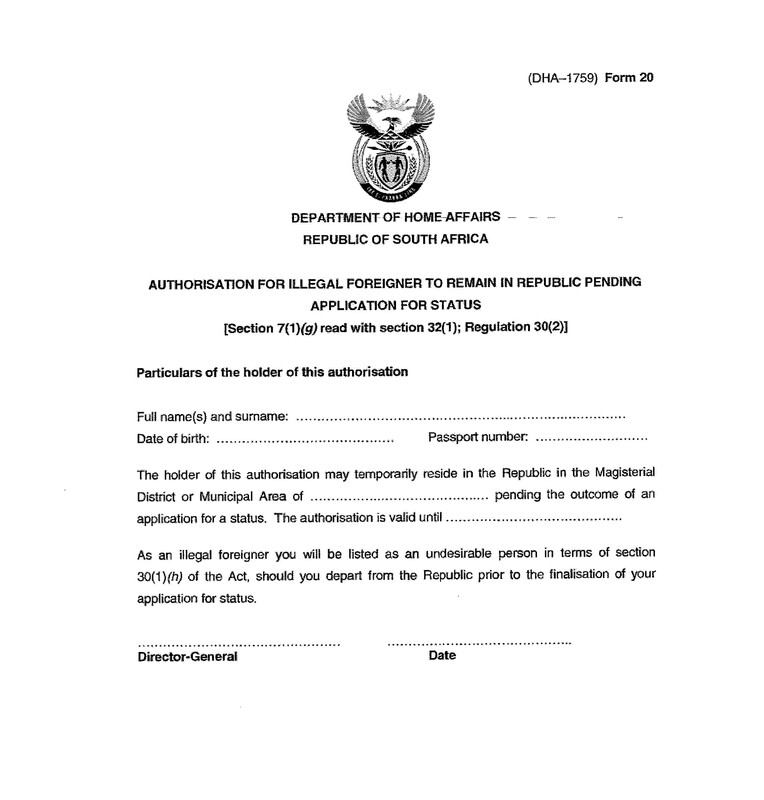 13 of 2002 (“the Act”), any illegal foreigner shall depart South Africa unless authorised by the Director-General of Home Affairs (by way of a letter of good cause) to remain within the country pending an application for a status. An illegal foreigner is defined as a foreigner residing in South Africa in contravention of the Act. The term is most commonly encountered when dealing with foreigners who no longer hold valid visas. Not all illegal foreigners, however, will qualify for such an authorisation and the Act and accompanying regulations provide the criteria for ascertaining whether an illegal foreigner may remain in South Africa pending the outcome of a visa application. That he/she is now in a position to do so. DHA have interpreted this requirement to mean that the foreigner needs to have a complete visa application ready for submission at the time that the request for authorisation is made. What is a letter of good cause in South African immigration? If the Director-General is satisfied that the above criteria have been met, he may issue the foreigner with a Form 20, also referred to as a letter of good cause, authorising the foreigner to make application for a visa by a certain date. If the decision in said application is unfavourable, the foreigner will need to depart South Africa immediately. This departure would ultimately result in a ban from South Africa and this would need to be overturned through the overstay appeal process. For additional information or assistance in applying for authorisation to submit a visa application from within South Africa, complete the contact form below and an attorney will be in touch.